Norwegian salmon is selling like never before, all over the world. Both prices and production have jumped, despite the loss of major markets in Russia and China, and profits are expected to rise even higher next year. When Russia blocked salmon imports from Norway, an estimated 11 percent of the Norwegian producers’ market disappeared. Strong global demand for salmon ended up replacing the Russian and Chinese markets, and opening more, according to Chramer. Geir Ove Ystmark, managing director of the national seafood and maritime association FHL (Fiskeri- og Havbruksnæringens Landsforening), said the export value of the Norwegian salmon industry can lead to even better profits for local producers. “And many people all along the Norwegian coast stand to gain on that,” Ystmark told DN. Record prices for Norwegian salmon, which hit an average of NOK 39.75 per kilo in 2014, are expected to rise again in 2015, perhaps by as much as 10 percent, according to broker Piotr Wingaard at Fishpool. 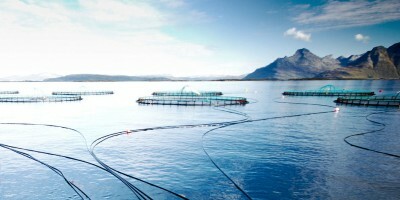 That can bring the export value of salmon up to NOK 50 billion (USD 6.7 billion). That’s NOK 10 billion more than in 2012, reported DN. The recent fall in the value of the Norwegian krone is also good news for salmon producers and other exporters. Even if prices in kroner go up, prices for customers abroad in their own local currencies may go down. A growth in revenues in foreign currencies, meanwhile, will send more kroner back home to Norway because of favourable exchange rates. A hundred dollars worth of salmon sold now converts into around NOK 740, compared to just over NOK 600 a year ago. And even though worldwide consumption of salmon increased 10 percent this year, demand remains higher than supply. Norway and Chile produce 80 percent of the world’s farmed salmon and production capacity has almost hit its limits in both countries. That’s why the industry predicts that prices will rise again. Government authorities, meanwhile, have become more careful about granting farming licenses and now, in Norway, grant so-called “green concessions.” They’re aimed at improving the industry’s environmental record and are granted to companies that tackle problems such as pollution, fish disease and fish escaping from farms in the fjords.